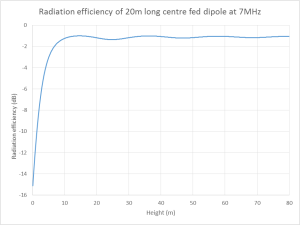 Above is the efficiency curve expanded to 80m height, about 2λ. 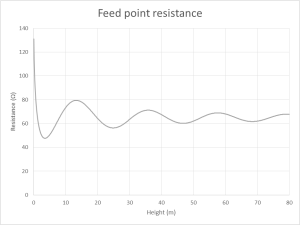 The graph assumes no matching loss (mismatch loss, changed line loss). 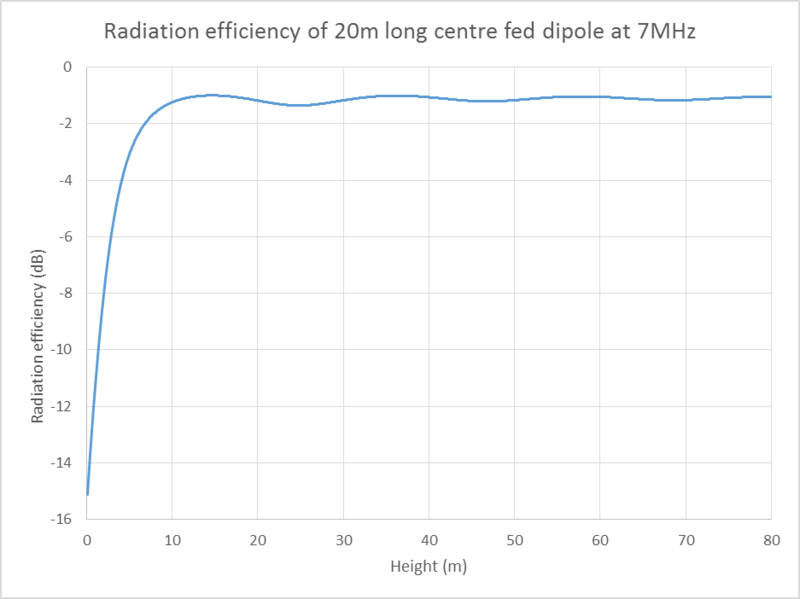 efficiency may be significantly poorer if not matched efficiently. 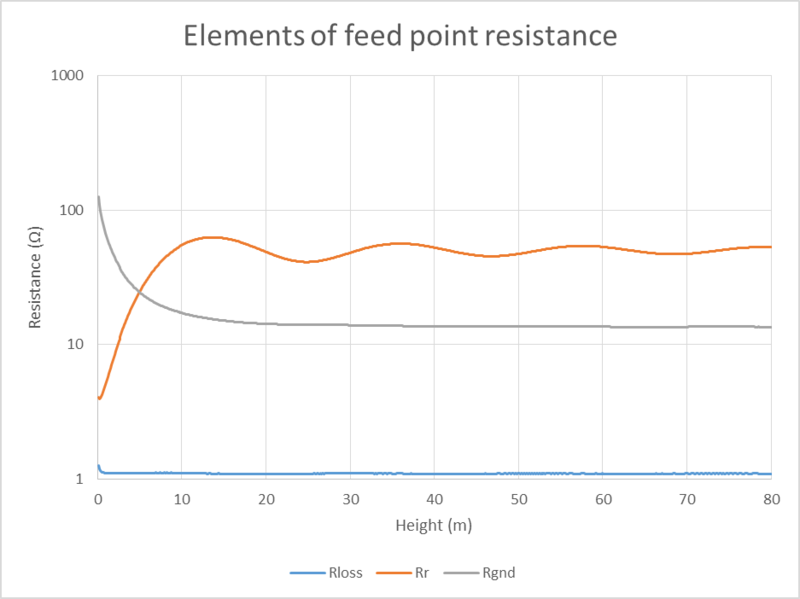 Above, the variation in feed point resistance with height. 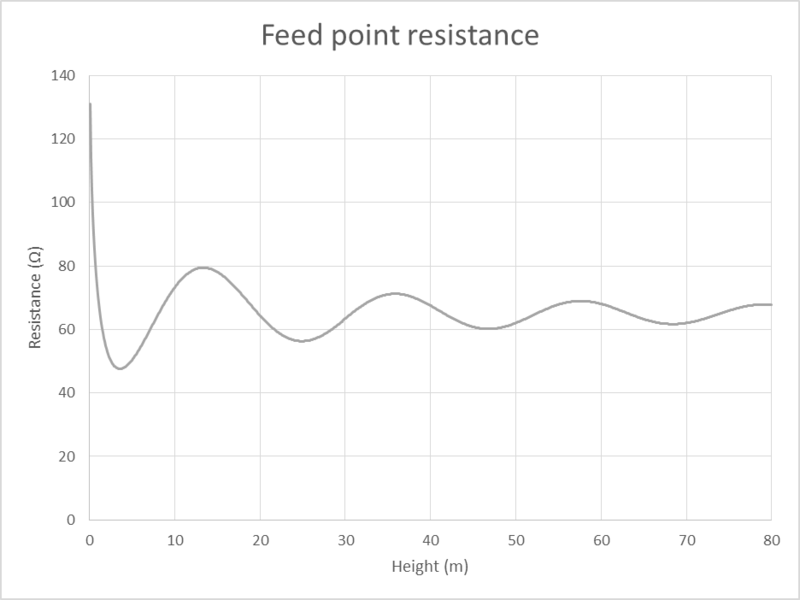 Note that feedpoint X also changes a little. 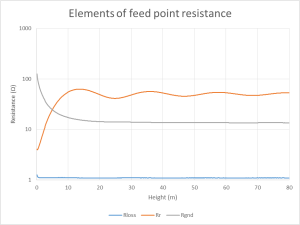 Above, the elements of feed point resistance separated out.